Ooma is one of the best in providing cheap / zero monthly-bill VoIP services to residential and businesses in Canada and the United States. Since the very beginning, Ooma has been committed to transforming the landscape of home phone service. 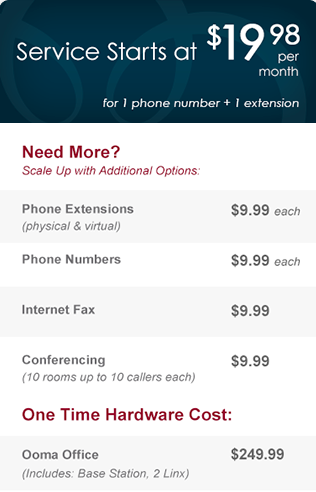 We took into account everything that was wrong with home phone service today (too pricey, limited features, inflexible) and made it our mission to reinvent it. 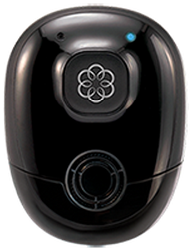 At the center of our efforts is the Ooma Telo, a highly sophisticated computer that when connected to the Internet delivers free calling with extremely high quality service and advanced features that turn an ordinary phone into a smart phone for your home. Building on our success in home phone service, Ooma has recently announced our first-ever small business phone service. 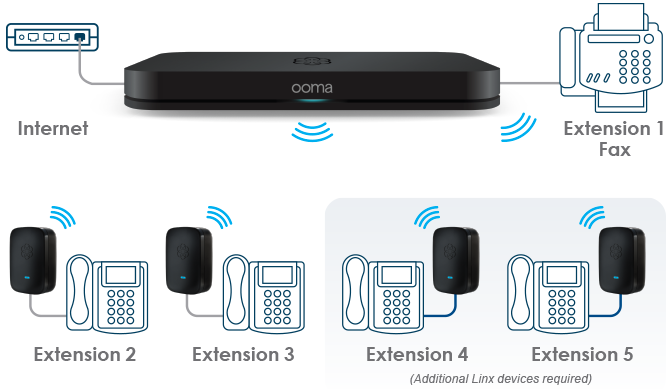 Ooma Office offers everything you’d ever need in a business phone system at a fraction of the cost while offering the quality of service you’d expect from Ooma. Whether for home or business, with Ooma you own your dial tone and the right to say goodbye to your phone company forever.